Normally the REAL ICE will control these options automatically for you. If you want to manually control the memories and ranges to program, set Auto select memories and ranges to Manually select memories and ranges as described below. Select Real ICE node under Categories. 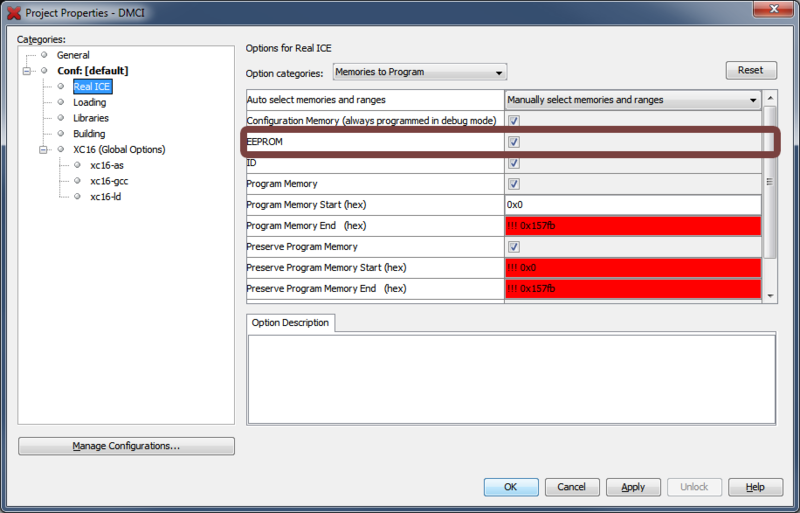 Select Memories to Program Option Category. Choose Manually select memories and ranges for Auto select memories and ranges. At this point, all of the defaults are still in place, but you can change the options that apply to your selected device as shown in the following sections. 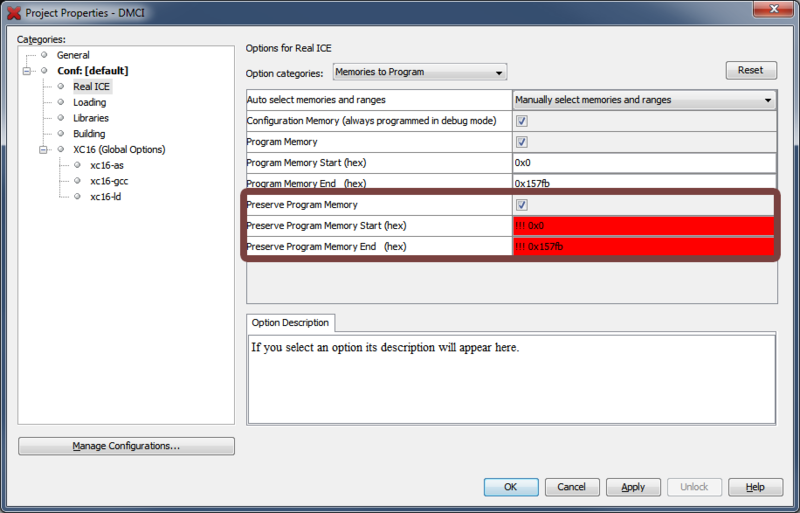 By default, the entire program memory range will be selected. 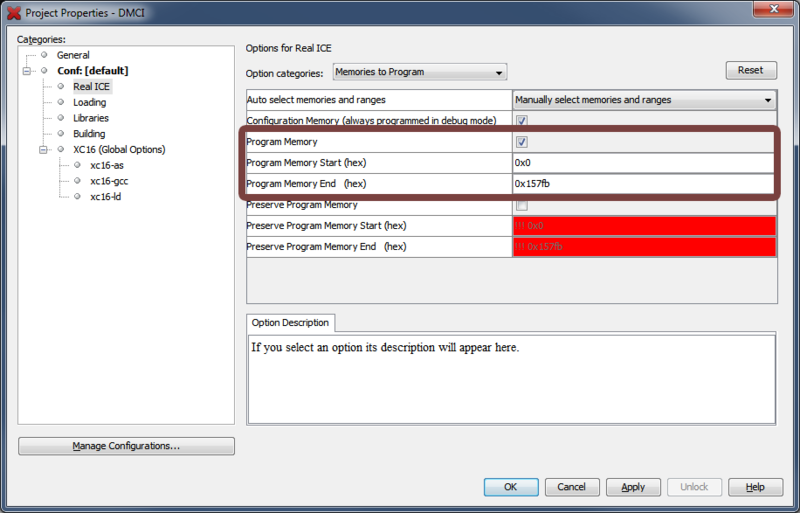 Specify addresses for Program Memory Start and Program Memory End. The address range does not apply to the Erase function. The Erase function will erase all data on the device unless it is set to be preserved as described in the next section. 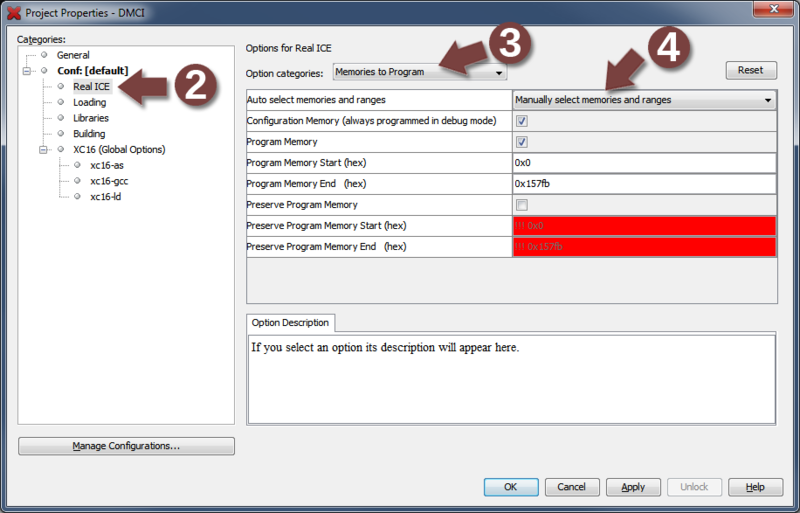 By default, all program memory is erased during each programming cycle. 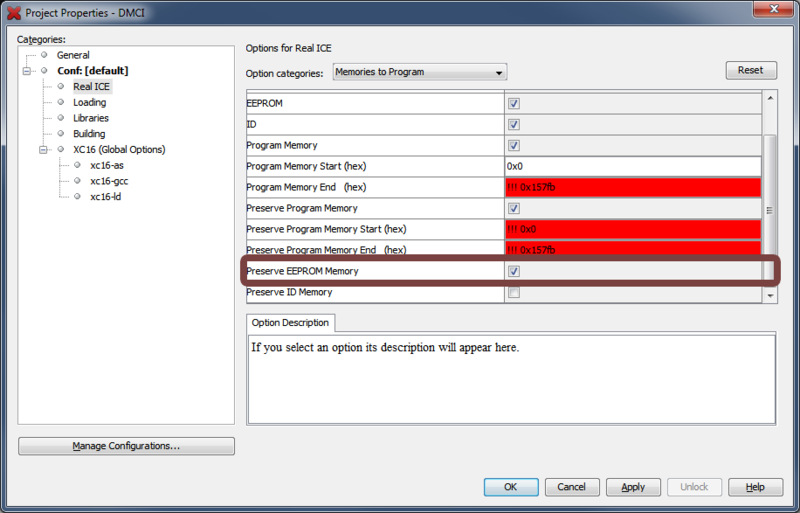 Specify addresses for Preserve Program Memory Start and Preserve Program Memory End. If your device has EEPROM data memory, it is configured to be programmed by default. If your device has EEPROM data memory, it is erased during each programming cycle by default.